Powerful platform enables high-end multimedia and video applications. 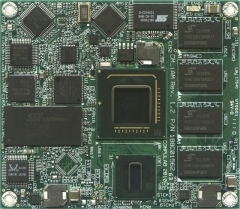 The CM-iAM computer-on-module (CoM) / system-on-module (SoM) packs Intel Atom processor technologies into the most compact, lightweight PC-on-module available in the market. Its on-board resources suffice to smoothly run operating systems such as Linux, Windows XP and Windows 7, on credit-card sized board capable running on small battery. 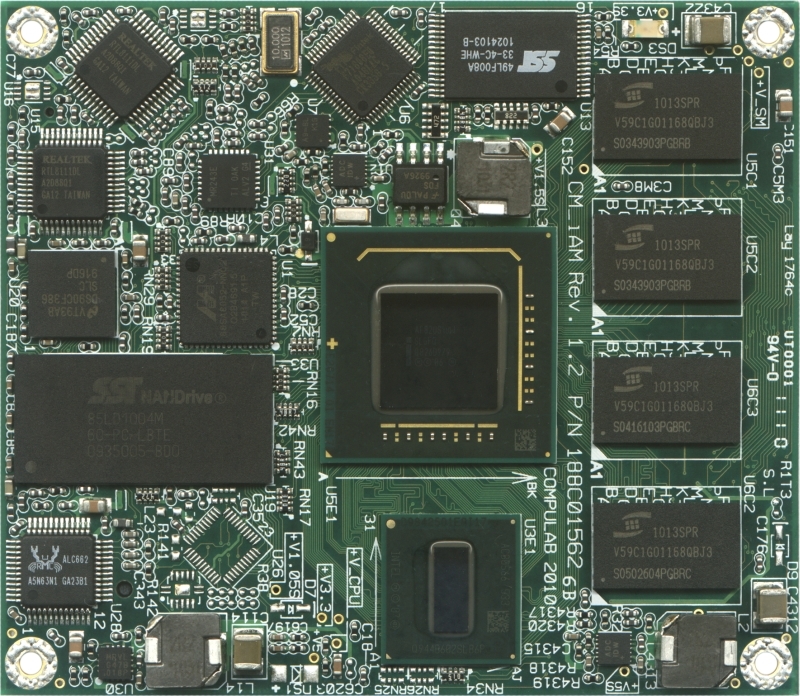 Board's specifications, in addition to its low cost, make it an ideal building block for any embedded application. The feature set of the CM-iAM comprises a 32-bit X86-compatible CPU, DDR2, Flash Disk and vital computing peripherals. 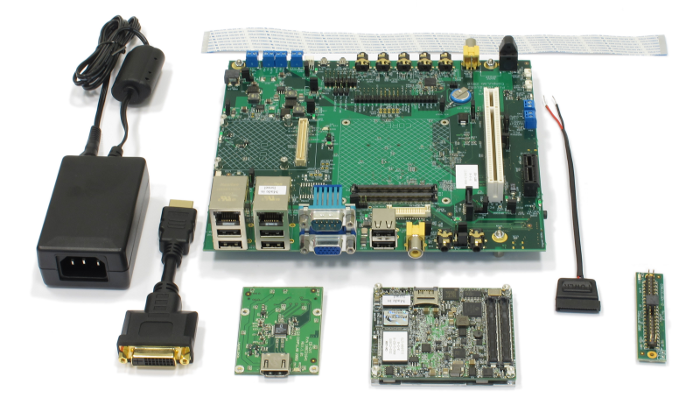 For embedded applications, the CM-iAM provides a variety of display interfaces, PCIexpress bus, two 1000Mbit Ethernet ports, serial port, general purpose I/O lines and many other essential functions. The user interface is supported by an enhanced graphics controller, USB interface for keyboard / mouse and Audio system..
CPU Intel Atom Processor: Z530 - 1.6GHz / 533MHz FSB or Z510 - 1.1GHz / 400MHz FSB. 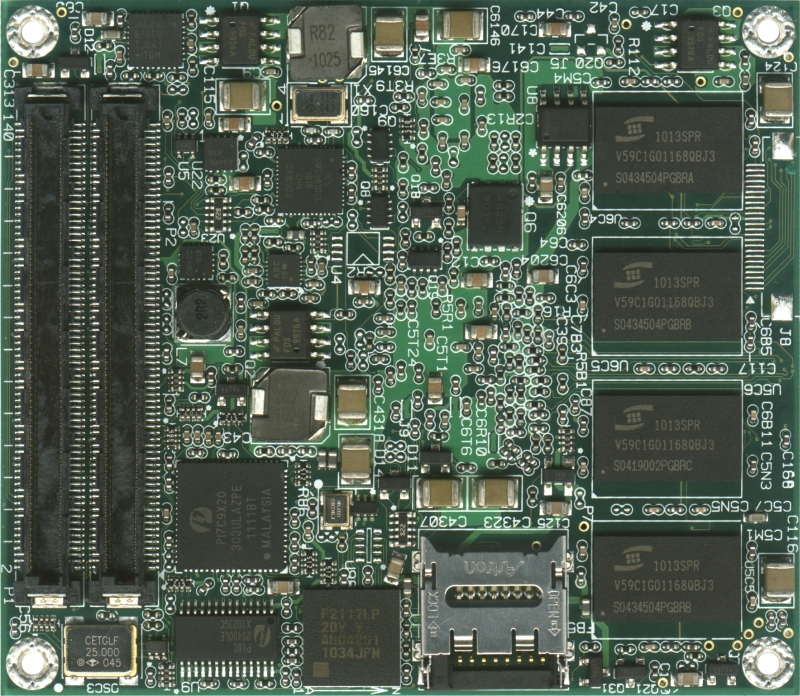 L2-512KB (dynamic sizing), L1- 32KB IC, 24KB DC. PCI Express PCI Express Base Specification, Revision 1.0a. One or two lanes. For previous versions of the CM-iAM software packages, please refer to the CM-iAM software archive. For CM-iAM pricing please contact sales@compulab.co.il.